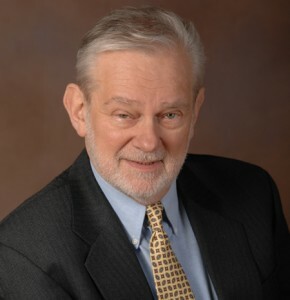 About Us | Resource Action Concepts, Inc.
Frank Ciecierski is president of Resource Action Concepts, Inc. RAC, Inc., and Crest Consulting, Coaching, and Training, the past president of NJPCA (New Jersey Professional Coaches Association), and a former adjunct Professor in the MBA Management Program at PACE University in New York City. Frank does a combination of coaching, training, consulting, and assessments. Mr. Ciecierski also founded the Allied Business Consultants (The ABC Group), an alliance of business owners, consultants, and coaches with broad based business knowledge and experience who provide information, mentoring, referrals, and business resources to support each other’s professional and personal growth. Mr. Ciecierski has served a client list as diverse as Polaroid Corporation, Weight Watchers, Kraft Foods, the International Group of Accounting Firms, retail firms, law firms, hospital and medical centers, real estate agencies, and Boards of Education. He has worked with clients in the healthcare, manufacturing, flexible packaging, disposable plastics, paper mill, and textile service industries, as well as lent his expertise to attorneys and other consultants. Frank is also a frequent guest speaker and seminar presenter on such topics as: New Selling Techniques; Networking; Rapport Building; Hiring Techniques; Leadership and Emotional Intelligence; Supportive Communication; The Inevitability of Change; Coping with the New Breed of Worker; Managing the Generation Gaps; Using Personality Profiles in Interpersonal Skills Training and Coaching; and Team Building. His list of published articles includes: Gaining a Positive Attitude – How to Let go of Negative Thoughts; Emotional Intelligence and Coaching; The Benefits of Coaching; Can you Benefit from Coaching? ; Communication and Rapport Building Skills; Your Productive Trigger Formula; Perfect Teams? ; Tools to Hire By; Finding Diamonds in the Rough; Using Job Match to Hire and Promote Successfully; Hiring Top Sales People; True North Perspectives: The Entrepreneurial Personality; The Learning Cassette Prescription; Want to Learn? Then Teach! ; How to Put Training on the Right Track; Pig Roast Management; and Is Your Emotional Intelligence Level Holding you Back? (with Jerry Walsh).